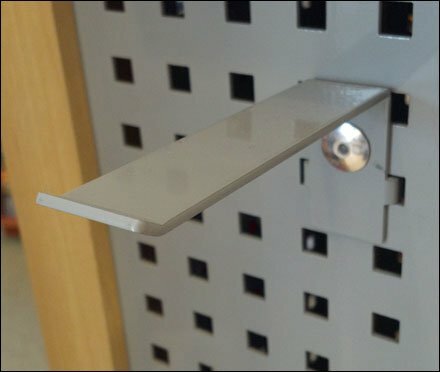 Square-holded perforated metal is an eye-catching change from normal round-holded display surfaces. I had expected unusual hooks, but not the permanent rivet attachment of these metal-stamping Butterfly Hooks. 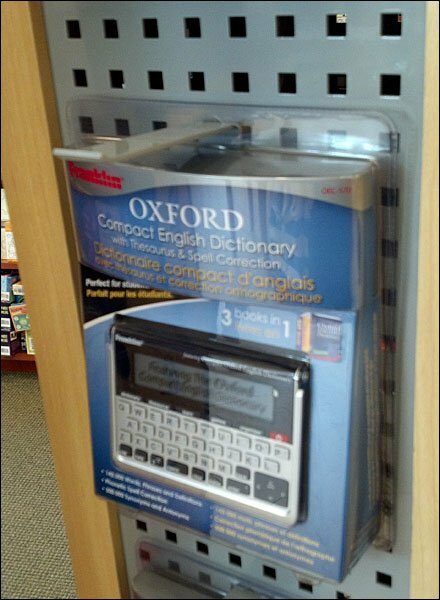 The display manufacturer made sure that Hooks can’t just walk off, get lost, or stolen, ruining the merchandising. CLICK the thumbnail for another look.